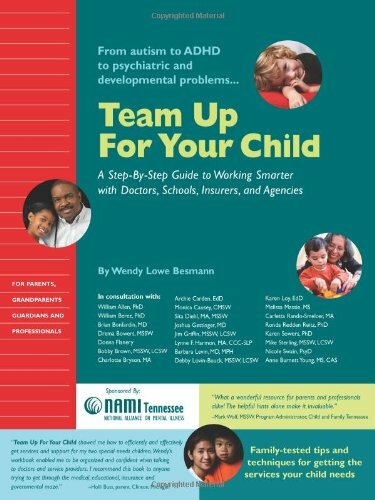 Team Up for Your Child: A Step-By-Step Guide to Working Smarter with Doctors, Schools, Insurers and Agencies, is a user-friendly workbook for families of the 25 million American children with behavioral health problems--from ADHD to autism to psychiatric and developmental disorders. Easy charts and worksheets turn a bewildering mess into tasks a parent can handle. Created by a parent in consultation with 23 health and education professionals, this guide is packed with family tested tips and techniques that make a tough job easier. Sponsored by NAMI Tennessee, an affiliate of NAMI (National Alliance on Mental Illness) the nation's largest grassroots organization for persons with mental illness, their families and communities.